What does not work… and why! Just thinking about all the so called remedies out there for Moles and Pocket Gophers, is enough to drive a person crazy. Do you ever wonder why there are so many different remedies, for Moles and Pocket gophers? I have. I realized that it is because they don't work. So you ask, "Why should I believe trapping is the answer?" Because after all, if it works as well as you say it does, you would think that the word would have spread like wildfire. It is because the instructions that come with the traps are just enough for you to be able to set it. But after that, your on your own. And people underestimate the critters. Running to the store, buying a trap and slapping in the ground, will not cut it. People do however, and they fail to gain control of there yards. Instead of blaming themselves for the failure they blame the trap. ( I hope my wife doesn't read this ). And remember that the trap won't fail, however you may fail the trap. I know I'm not going to be popular with the neighborhood expert, who swears his or her method works. But it is, what it is. The purpose of this web site is to give you the straight facts and let you decide for yourself what is best. I am always interested in the numerous things that have been tried. And I believe folks can learn from what other people have tried, just to find out that it didn't work. So if you don't see something listed or If you just have a question. Please feel free to go to our contact us page, and let me know. I will either e-mail you or I will post the question and answer on this page. Don't worry, You will be anonymous. You will not end up on some mailing list.
" My neighbor told me to put a grub control product on my yard. He said they will go away because they don't have any food." Although this sounds like a good Idea, it is not. First we need to remember that a Mole is a Insectivore. Which basically means, they eat bugs. There primary food source is the Earth Worm. And of course they won't pass up a nice fat grub, beetle, or numinous other insects. For this type of approach to work you will have to kill all the insects and Earth Worms. Unless you do, you will be only taking its desert, not the main course. 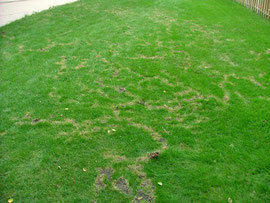 I think we can all agree that killing everything in the yard with insecticide is not a good idea or practical. Not to mention that, I'm not aware of any thing that can be used legally to kill Earth Worms. And why would you? "I've tried spraying my yard with something I bought from the hardware store. It was for Moles, But it didn't seem to help." There are several companies offering this type of product. The active ingredient is Castor oil. Depending on the manufacturer, the percentage will range between 20% to 100% Castor oil. Castor oil being the active ingredient. Castor oil can also be found in a granular form as well. There was a study done by a unnamed university that suggested that it has an effect on moles. The first thing I asked myself was. "Who payed for this study? The second thing I asked was. "How would spraying oil on the grass make any difference? To a critter that spends its hole life under ground eating primarily earthworms. Traveling 100's of feet through tunnels that can go down as far as necessary to stay out of the frost line. Sometimes 5 feet or more depending how much frost you get in your area. I know used 5W30 doesn't stop them. I have not tried it myself, however I have had customers that did. Mabe it was from ingesting it. No. You would think that with all the chemicals that we already chuck on the ground that they would have slowed down by now. Or mabe they absorb it through there fur. No. The fur has a water repellent quality to it. Think about this. If this did work, and you and all your neighbors are using this approach as well. Where do the Moles go? Your not removing them or there food source. The fact is, this just does not work. If It did. They would adapt and survive, and it probably will not be, in a way you like. "My neighbor told me to gas them suckers out." Trying to flood the tunnel system with water or a poisonous gas may be fun but is a complete waist of time and resources. For this technique to work you will have to make sure that you can cover every inch of the system and this will not happen. These systems are vast with 100's of feet of tunnel at varying depths. "I have been using a ultrasonic beeping thing that I put in the tunnel and it seemed to work a little at first, But now they just don't seem to care." "I have been putting the poison pellets in the tunnels, for Moles. And it doesn't seem to work. And I noticed that they have been pushing them out of the tunnel." The poison pellets have been around for a long time. The critter this will work on is the Pocket Gopher. 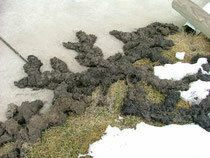 Moles are bug eaters, and the pellets are a grain or plant based delivery system. Which is not the Moles food source. I have found it very interesting that you can use the same product for both species. Moles being insectivores and Pocket Gophers being herbivores. We also need to remember that Moles and Pocket Gophers are not the only critters that travel these underground tunnels. You will have Shrews, Voles, Mice and Salamanders that will use them as well. With the exception of Salamanders the other critters will eat this product. So there is no guarantee that the poison will be there when the critter you are after comes through. Not to mention Moles will not eat it and there is nothing saying that the Pocket Gopher will eat it either. So how can they get by with selling something that doesn't work? A university did a study on the stomach contents of the Eastern Mole. They found that it had vegetation in its stomach. However it is also felt that this was do to accidental ingestion when they are grabbing and consuming there food.
" I was told that if you apply predator urine, that this will help keep them away." First. Moles really don't have a lot of problems with predators. They stay in there tunnel system there whole life, therefore not exposing themselves to a predator. Except for in rare cases that they would need to. And there tunnels are to small to allow anything bigger than it, to effectively gain access to them. I do know that the Northern Short-Tailed Shrew will make a meal out of them when they are in my trap. Second. Pocket Gophers have large enough tunnels to allow snakes and etc... to gain access to them. Pocket Gophers also expose themselves when throwing dirt and creating mounds. 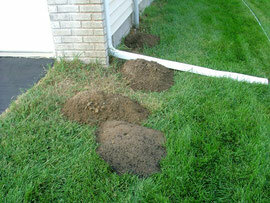 Note : one of the favorite areas of the Pocket Gopher and Mole is the drainage Fields of septic systems. I think it goes without saying what you will find there. If this approach worked you would have to spray urine over the whole area. I don't know about you, but I'm not spraying pee all over my yard. Even if it did work. "I have been using the fake worms and I have also tried the gel stuff to. But I'm just not having any luck." These two products were designed for Mole control. And are heading in the right direction as far as trying to mimic the food they eat. Once again we face the same situation as we do with the pellets. The fact that other critters may eat it before the Mole gets there. And again nothing saying they will be hungry when they encounter it. Lets face it, It is not easy to come up with a delivery system that will be eaten as readily as the live fresh food that is already in abundance. The reason why people feel that the method they are using works, when it doesn't. Is because after following the directions they wait to see if it worked. And of course this does make sense. And after waiting awhile a couple of things happen. They seem to have moved to a different part of the yard, or the Moles seem to have left altogether. Doing nothing at all will produce the same results. Moles do not travel there whole tunnel system all of the time. They use portions of it at a time. Some tunnels may only get used once. The sporadic use of their tunnels is what gives the illusion that it is working. The quantity of food in an area dictates were they tunnel and feed. And moisture content of the soil will also greatly effect the quantity of food in that part of there territory. What people have tried, but failed. Propane - (And ignite it with a match) I would have liked to see that! Please do not try this. I know it would feel good and be a lot of fun. Chewing Gum - I love this one. I would like to meet the person who started this one. The Mole is a bug eater & the Pocket Gopher eats the meaty tap roots of plants. A piece of sugar filled, flavored gum? OK! Maybe I got a little carried away. I am serious though, about Mole & Pocket Gopher control and encourage anyone who would like to share with me what they have tried or heard about something that may work. Or just have a question, and remember the only stupid question is the one you didn't ask. Go to our contact us page and fire me off some information. The fact is this. 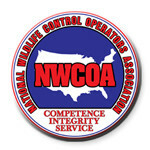 With a comprehensive trapping plan you will be able to keep them under control. Some of you will be able to go 1, 2, even 3 summers with out a re- occurrence. And some of you will have to do some trapping at some level, every season. No matter what your situation is, you can keep them under control. And get back to enjoying your well deserved yard. Instead of cussing it! !